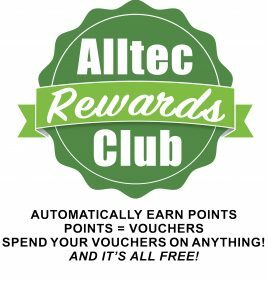 Professional Car Valeting Machines from Alltec! If you are looking for small, lightweight but powerful car valeting machines for your business then the Alltec Express is the perfect Car Valeting machine for you! The ALLTEC Express is a compact, light-weight, yet very robust and powerful machine. These are the ideal Car Valeting Machines. With a molded-in air deflector which reduces turbulence within the recovery tank; Top mounted controls and connections; Automatic vacuum restrictor and is available in single or dual 3-stage vacuum and optional in-line heater. The Express is perfect when size and maneuverability is important without compromising on professional performance! You’ll find it fits in the back of most estate, hatchback cars or small store cupboards and it can be called upon to deliver professional results on car interiors. Watch the video below made by Russ Chadd from ProSteam UK in Surrey. Russ is using the Alltec Express machine. Although it is not shown in the video, you can see how well the powerful Vacuum Motors help when extracting the soiling with both wet and dry passes! This is amazing, this is really good for cleaning. But cleaning it manually still is better because you can handle it with care and not damaging it. Still, I like it, thank you for sharing this article.